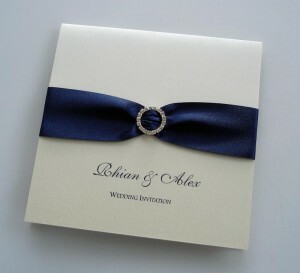 A truly luxurious pocket fold design featuring wide satin ribbon and a beautiful, curved, crystal buckle. 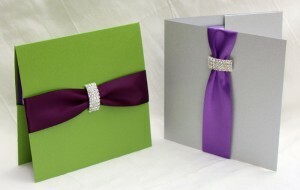 Choose your own combination of colours to complement the heavy weight card pocket with pretty satin ribbon. 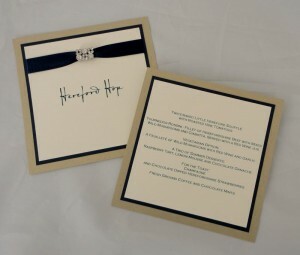 The invitation pocket comes complete with a guest information card. 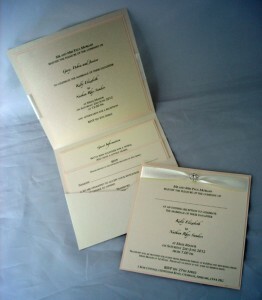 Invitations are supplied with a standard envelope (pearlescent envelopes are available at an extra cost). 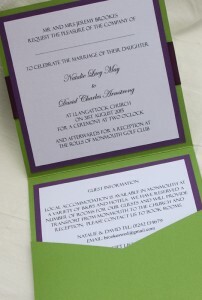 Matching RSVP cards with envelopes and additional guest information cards are available. 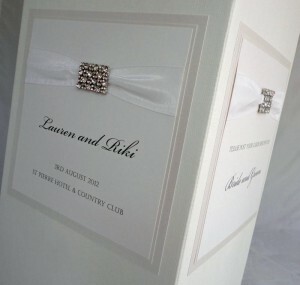 Invitations can be personalised with your guest names, and envelopes addressed. 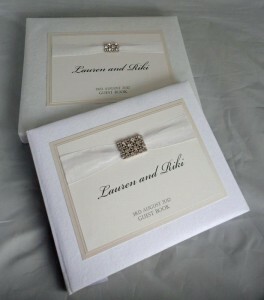 Supplied with matching envelope. Crystal buckle can be substituted for an alternative embellishment. There are a huge range of colours available, so please contact us to discuss your requirements. 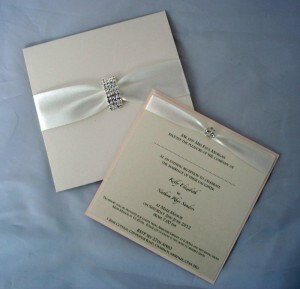 Matching RSVP card with envelope are available for invitations at a cost of 95p each. Additional guest information cards are available at a cost of 50p each. 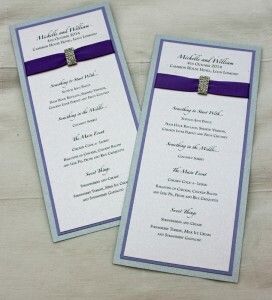 Guest names can be printed on the invitations at a cost of 25p each. 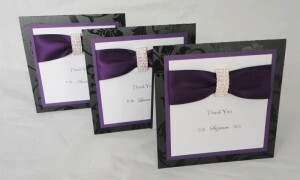 Guest names and addresses can be printed on the envelopes at 50p each. 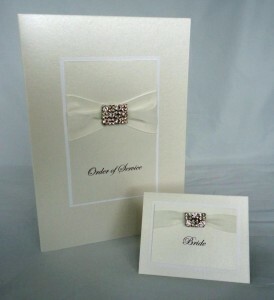 Pearlescent envelopes are available for an additional 35p each. 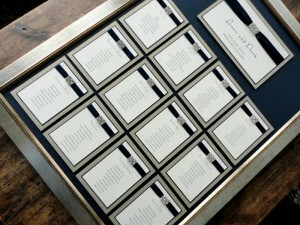 Prices are based on an A1 board with 8 table panels.